HomeTop StoriesHave You Made Rechargeable Battery Recycling Part of Your Green Routine? ATLANTA, Sept. 20, 2010 – Recycling 1 million pounds of rechargeable batteries in less than three months may have sounded impossible when Call2Recycle®, North America’s only free rechargeable battery and cellphone collection program, launched its MyCall2Recycle awareness campaign in July. 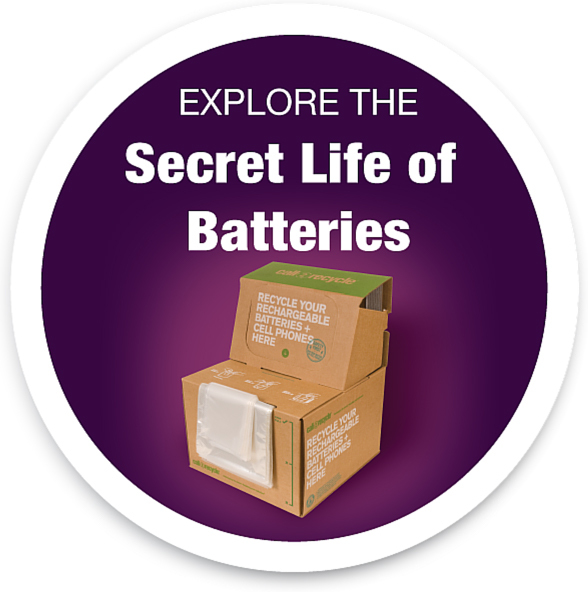 However, with less than two weeks remaining to successfully divert 1 million pounds of rechargeable batteries from U.S. landfills by Oct. 1, Call2Recycle collections reflect that more Americans are learning the importance and ease of battery recycling, and will continue to recycle long after the campaign ends. To help ensure success in collecting 1 million pounds of batteries by Oct. 1, Call2Recycle is taking its battery recycling awareness efforts to the streets by kicking off a cross-country trip today with stops in four major markets: Atlanta (Monday, Sept. 20), Dallas-Fort Worth (Tuesday, Sept. 21), Chicago (Thursday, Sept. 23) and San Diego (Friday, Sept. 24). These markets, selected for their history of success in battery recycling efforts, are also in competition with one another to earn the title “Call2Recycle’s Greenest City in America.” The winning market will be selected based on total pounds of rechargeable batteries collected between July 1 and Oct. 1. “We have collected more than 800,000 pounds of rechargeable batteries since the campaign launched, so we are certain that Americans heard our petition to help us recycle 1 million pounds by Oct. 1. More importantly, we hope that the MyCall2Recycle campaign inspired people to think about why battery recycling is important and make it a part of their ongoing green routine,” said Carl Smith, president and CEO of Call2Recycle. In addition to the battery collection drives, Call2Recycle is hosting an online video contest as part of the MyCall2Recycle campaign. People are invited to visit MyCall2Recycle.org and upload a short video explaining what inspires them to recycle for a chance to win a Flip Video® SlideHD™, DeWALT cordless power tools, a Nintendo DSi™ or a Powermat™. All contest entrants also receive an eco-tote bag. Rechargeable batteries are a long-lasting, eco-friendly power source for many electronic devices, including laptop computers, cellphones, cordless phones, cordless power tools, digital cameras and PDAs. They can be recycled at any of Call2Recycle’s 30,000 collection sites throughout North America, including many locations of MyCall2Recycle campaign partners DeWALT Factory Service Center, Lowe’s, RadioShack and Staples. For additional details, visit MyCall2Recycle.org. Become a follower or fan at twitter.com/call2recycle or facebook.com/call2recycle. Call2Recycle® is the only free rechargeable battery and cellphone collection program in North America. Since 1994, Call2Recycle has diverted more than 60 million pounds of rechargeable batteries from local landfills and established a network of 30,000 recycling drop-off locations. Advancing green business practices and environmental sustainability, Call2Recycle is the most active voice promoting eco-safe reclamation and recycling of rechargeable batteries and cellphones. Call2Recycle is operated by the non-profit Rechargeable Battery Recycling Corporation (RBRC). Learn more at call2recycle.org or 877.2.RECYCLE.